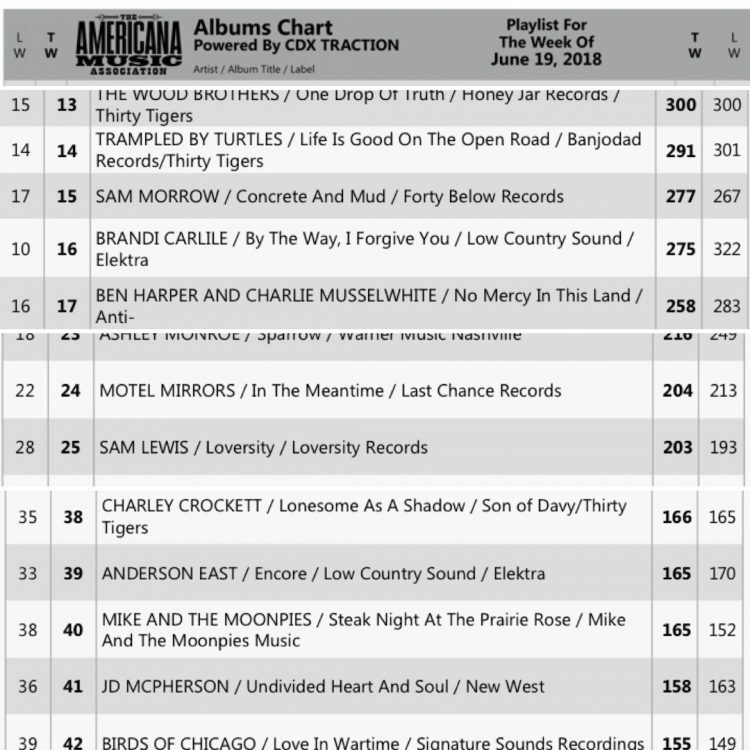 The americana chart is no easy challenge but as always great albums continue to shine. 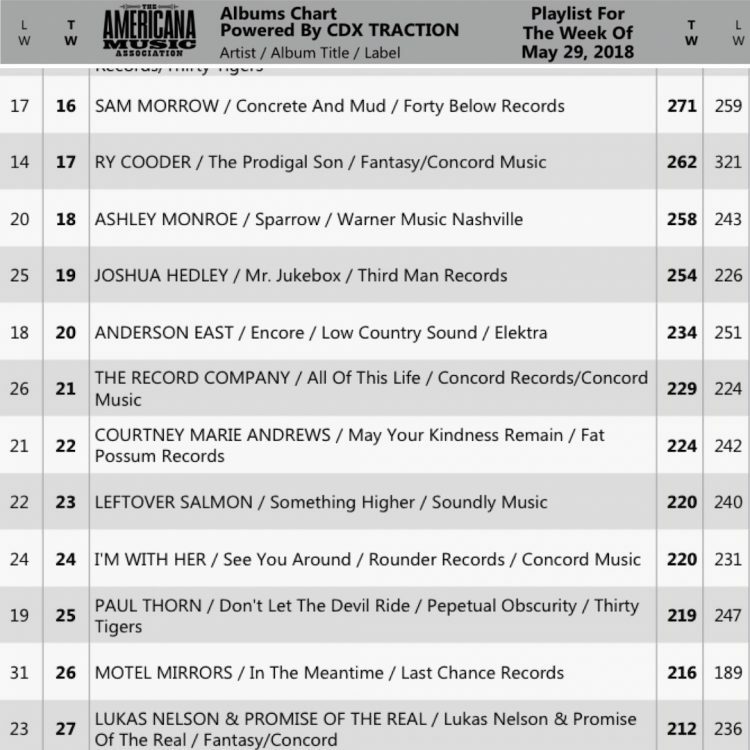 This is only the 2nd week and Moot Davis has arrived at #35. 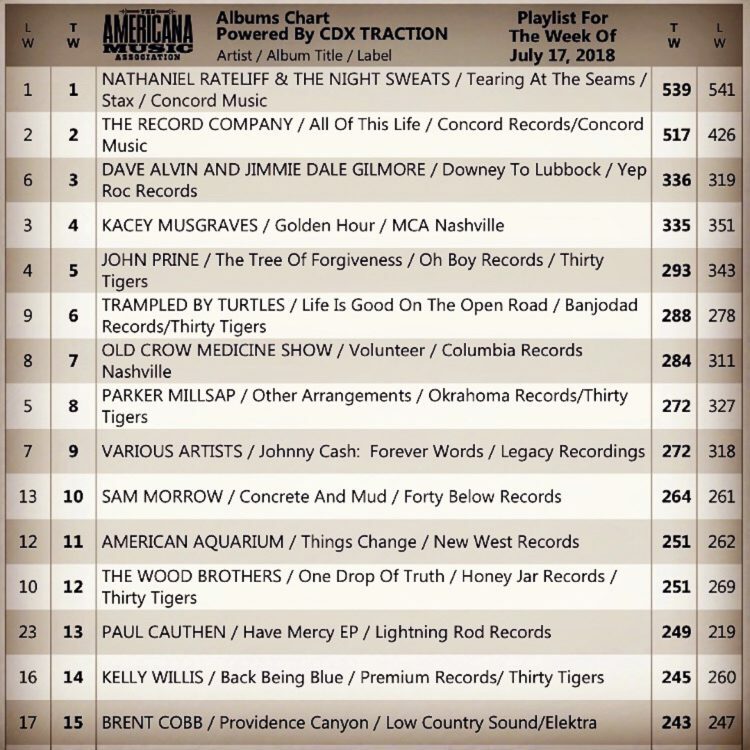 Thanks to the wonderful music directors across the US for believing in this album. 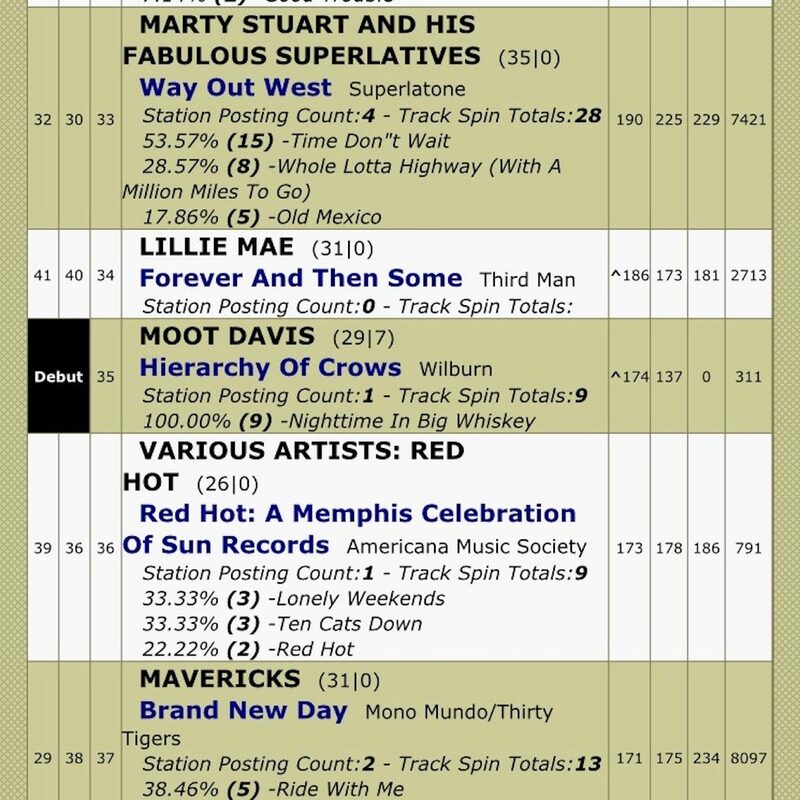 Wonderful review in for Moot today at Saving Country Music! 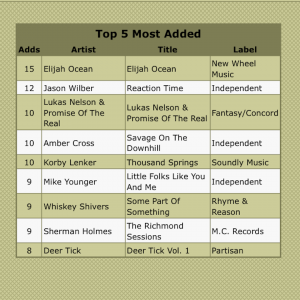 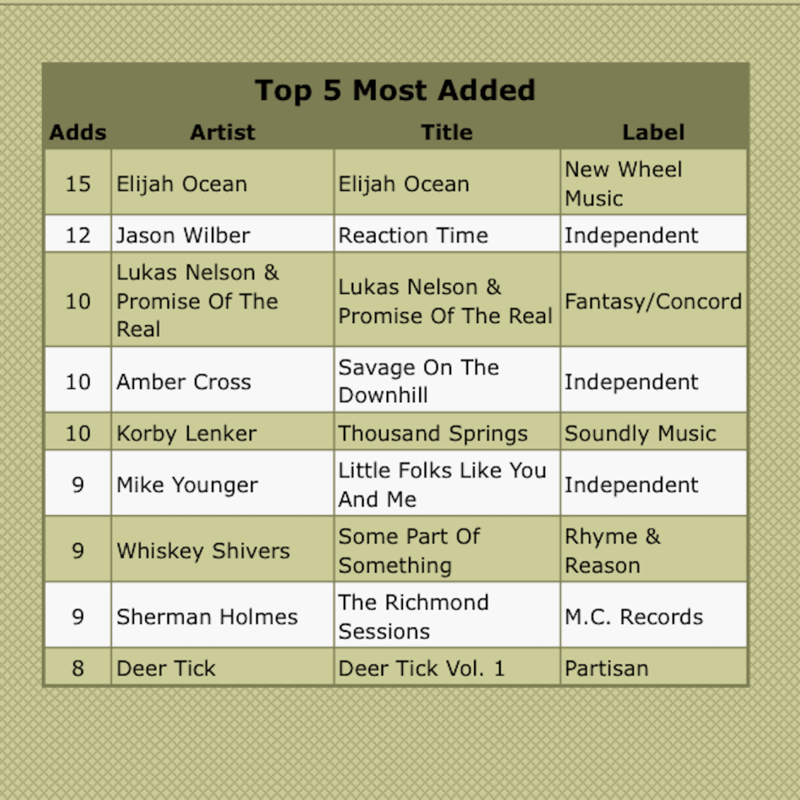 Also this week Elijah Ocean was the most added album on the chart!